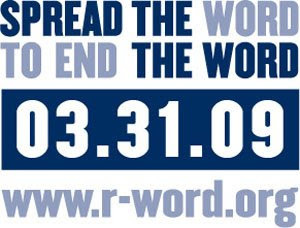 Visit www.r-word.org and take the pledge and pass this site along to all your friends. Help us get 100,000 pledges and spread the word. I won my first bloggy award! Thank you to my friend Karyn at Quinn's Crusaders. Karyn and I met when her daughter, Quinn, was still blossoming in the womb. Karyn received a prenatal diagnosis of Down syndrome and was brave enough to come to a Mom's Night Out dinner to meet other moms of children with a little somethin' extra. I offered for Karyn and her family to meet Cameron (I wanted them to see how much more typical he was than not). I'm pretty sure he charmed the pants off of them! Thank you Karyn, this award means a lot to me. For The Life is Grand Award I must give five reasons why I think life is grand and then tag five more people. 1. My children. I suffered for years before having my boys, trying one procedure, surgery, medication after another - all unsuccessful. The Lord finally answered our prayers and gave us not one miracle, but two. They mean the World to me and I know that I would be lost and miserable without them. 2. My husband. I am completely blessed to have such a wonderful man in my life. I know that I don't tell him or show him often enough how much he means to me. I would be lost and miserable without him as well. 3. The Lord. I have always believed in and prayed to the Lord. It's been within the last few years that I have really seen what is possible when you put all your faith in Him. 4. My health. I have seen too many people suffer and die too early from cancer. I thank the Lord every day that my family and I are healthy. I will NEVER take this for granted. 5. My family & friends. They love, understand and support me regardless of my faults. I really enjoy reading your blogs and because of you as well, my life is grand! I’ve been sick for a week now. I have a sinus infection and bronchitis. I truly believe I jinxed myself. I mentioned to a co-worker that I haven’t been sick in years. What the heck was I thinking saying something so stupid??? I am going to try to catch up now that my head doesn't feel like it's going to completely explode. 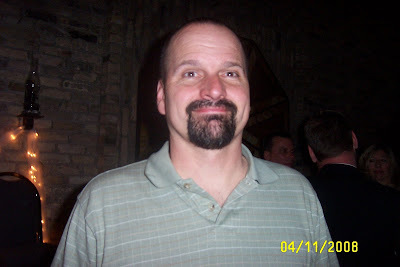 He has taken the role of single dad and is raising his three daughters (two of which are hormonal, boy crazy teenagers) and he is doing a wonderful job keeping them in line raising them correctly. Happy Birthday Big Brother - I love you. Oh, and in celebration of St. Patrick's Day your birthday, I will be spending the entire day drinking green beer. No need to thank me, it's the least I can do.